Newcomer Boni impressed many with her cover of Taeyang’s Look Only at Me. 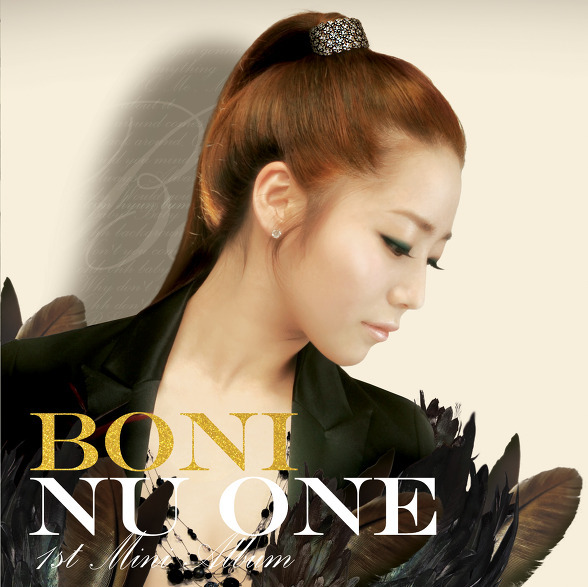 Then, she released her debut mini album, Nu One and gained an instant fan (me!). Her voice is so powerful and her style is laid back. I chatted with her briefly on Twitter and she is the sweetest person.Actually I listened to this album on a whim. Someone uploaded it and I just clicked the video. I am so happy I did because I wouldn’t have gotten the chance to her hear voice. Nu One (Feat.버벌 진트), a contemporary R&B song starts the album featuring rapper Verbal Jint. This is a fun track with snippets of English that make sense for the most part. I really love the repetitive backbeat. Following is 너 를 보내도 is a contemporary R&B ballad. This really shows her power especially towards the end. There is also an English version at the end of the EP. BONI Get Started is another fast paced song, but it’s kinda short. I don’t really care for it and don’t have too much to say about it. ResQ Me is another contemporary ballad. I’ve noticed that after every dance track there is a slower song. This was my first Boni song and plus it was live when I heard it. Hot Soup is another song that I love hearing her sing live. The energy she gives off in this song is so happy and fun. I prefer her singing this live because you get all that happy feeling. Prelude To Go Around features the songstress singing English lines from Go Around. Go Around is the English version of 너 를 보내도. Her English sounded fluent , but the grammar was a little off, but at least I can understand what she was saying. I don’t think this is a translation of the song, just another version. I would say that Boni could definitely be a contender for the Rookie of Year along with Yoari. Who do you think would win? This was another mini album that I really enjoyed listening to. I can’t wait for her next release which she said that she is in the process of making at the moment. I rate this mini album 4/5.